BBC Four has announced it will air a number of new shows focused on the “hidden” history of ethnic minorities in Britain next month, as part of a season which will “celebrate British diversity”. Broadcasters from different ethnic backgrounds will explore “untold stories… [both] joyful and tragic” relating to people from their own communities, and present accounts of “the harsh reality many… faced when searching for a new life in Britain”. Another of its new shows, Windrush: Movement of the People, the BBC will treat viewers to a “contemporary dance piece… which celebrates the arrival of the SS Empire Windrush” as it imported large numbers of Caribbean migrants to the United Kingdom, as well as subsequent waves of mass, third world migration and “the rise of multicultural Britain”. “It tells the collective history of the immigrants’ dreams, hopes and pain, while celebrating the complexities of their struggle for identity, equality and belonging,” BBC Four said of the production, which features the Leeds-based Phoenix Dance Theatre. The other two programmes unveiled over the weekend were Don McCullin: Looking for England, which will feature the award-winning photojournalist visiting various parts of the country, and Soon Gone: A Windrush Chronicle, produced by Sir Lenny Henry. Focusing on one Afro-Caribbean household, the latter series will “follow the highs and lows of one family from their arrival in England in the 1940s up to the present day as they explore their hopes and desires, challenges and shattered dreams”, according to the press release. Editor of the channel Cassian Harrison, who has previously said the BBC should do away with programming which involved “white, middle-aged” male presenters explaining things, commented of the upcoming season: “BBC Four is a unique proposition within British TV and we’re always proud to celebrate voices and stories that are less known and often unheard. 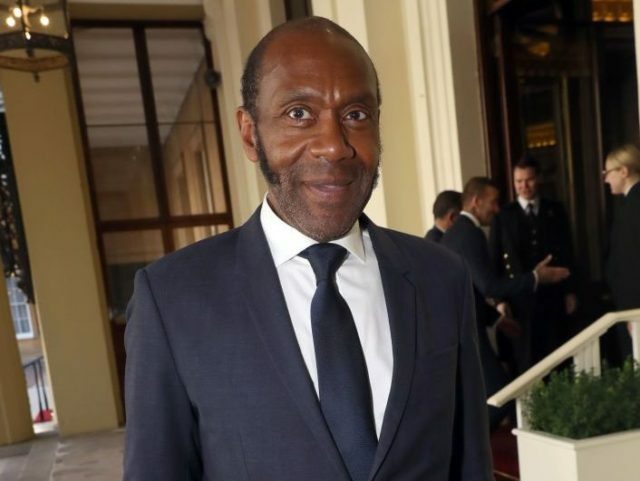 Sir Lenny has been increasingly vocal in demanding more ethnic minority representation across the whole of the British media, including calls supported by London mayor Sadiq Khan for diversity-promoting tax breaks and watchdog-backed mandatory quotas, since launching a campaign on the issue in 2014, when he lamented a lack of “strong, black lead roles” in TV and film in the United Kingdom (where black people make up around 3 percent of the population) was forcing actors to look for work in the U.S. The comedian-turned-political activist, who in 2016 blasted the “very, very white” BBC as an “oppressive institution” that needed significant change, has slammed the lack of ethnic diversity in the casts of programmes including Midsomer Murders and Broadchurch — both of which are set in almost 100 percent white parts of rural England — as exemplifying broadcasters’ failure to adequately represent “modern Britain”. Despite white people comprising around 87 percent of the UK population at the last census, in 2011, Sir Lenny stated in November last year that the Government should take action to encourage broadcasters to reach a figure of 40 percent BAME (black and ethnic minority) staff “behind and in front of camera”. “It’s not enough to have more people in EastEnders and more people doing the weather. It’s not enough,” insisted the actor, who has most recently turned his fire on British period dramas, calling it “the epitome of madness” programme-makers were failing to routinely feature “black Tudors, black Georgians”, Chinese tradesmen, and black Roman soldiers in depictions of British history. The British media must be made “fully diverse”, he told Parliament in 2017, alleging the issue was “a fight about who, and who isn’t, considered British, a fight about whose voices do and do not matter”. He claimed that a supposed lack of ethnic minority representation in broadcasting had fueled a rise in “racist attacks” as well as “self-reinforcing extreme world views”, for which he pointed to Brexit and U.S. President Donald Trump as examples.